This is the finished piece I submitted to the Sacred Threads Exhibition. 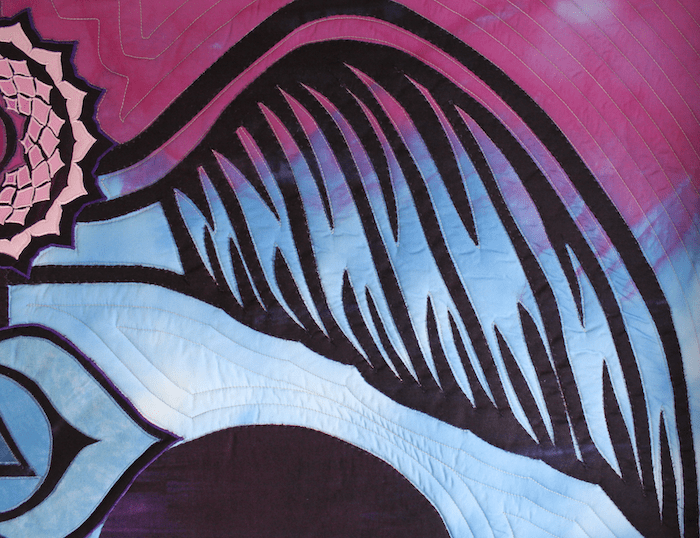 It’s a chakra quilt based on the Kundalini serpent design. Kundalini is a Sanskrit word describing the life force or spiritual energy that resides in the body. I’ve been exploring the ideas of balance in our lives or more likely, imbalance in our lives! 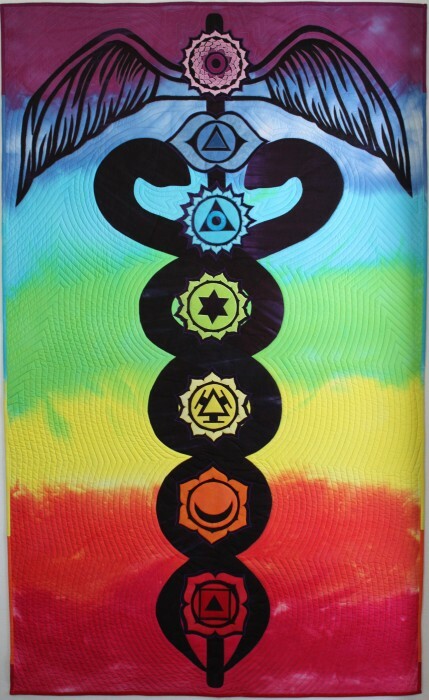 The Kundalini serpent represents the seven energy centres (chakras) awakening, rising up, activating each in turn until a whole, healthy and balanced state is achieved. This is a juried exhibition, so I won’t know until the end of April whether this quilt has been accepted. 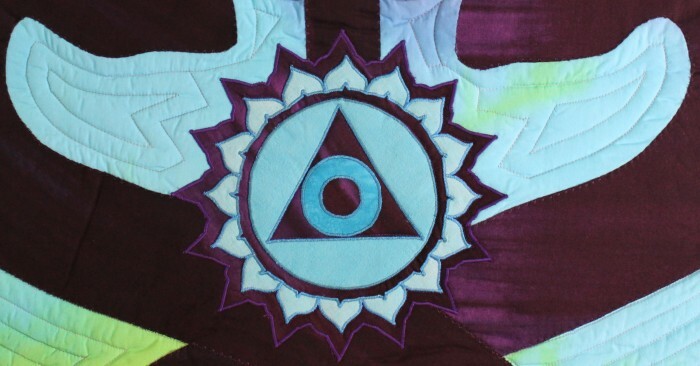 Below is a detail of the Throat Chakra, it is said to be located in the throat area and deals with communication, self-expression and the truth. All of the fabric is hand dyed, including the background. I followed the information on Robin Ferrier’s blog on flat dyeing. The top is a combination of raw edge appliqué – the wings and serpent, and satin stitched appliqué – the chakras. The quilt is machine quilted with a walking foot. I encourage you to have a look at the Sacred Threads Exhibition website, they have a gallery of works from previous years along with the artists’ statements.